Oily skin is a big problem, especially in humid sunny days. If you suffer from acne, pimples and other facial problems because of greasy skin, a good herbal toner can be your handy help. Below we have listed 10 best herbal toners that will make your skin soft and moisturized without any cosmetic side effects. 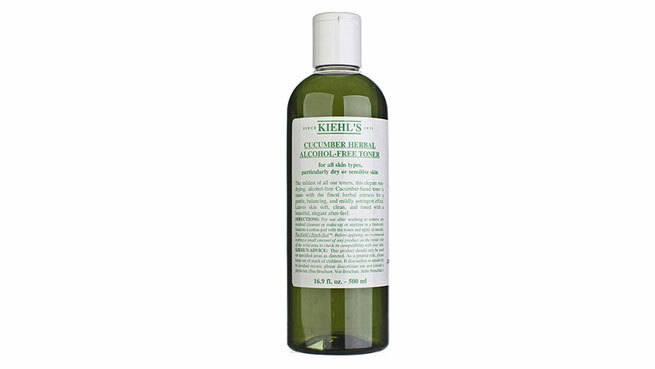 Nourish your skin with mild toner from Kiehl that is formulated with the best natural qualities of cucumber. To ensure maximum benefit for oily skin, this toner is alcohol free which makes your skin soft and smooth effortlessly. Combining ingredients such as coriander, cucumber, mint and peppermint oil, this face refreshing toner is a delight to use. It purifies the skin and prevents clogging, thus maintaining a balance of nourishment and natural glow. 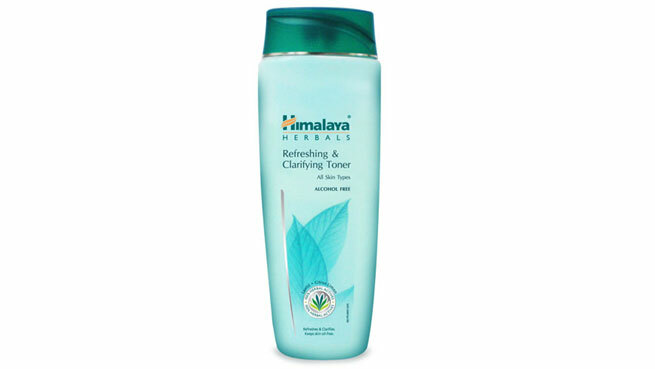 Feel refreshed and rejuvenated at your best, Himalaya Refreshing & Clarifying Toner is here to moisturize your skin without any greasiness. This toner is made from natural elements such as Citrus Lemon and Mint which deeply cleanses and soothes simultaneously. Yet another alcohol free herbal toner for oily skin, Aromamagic Aromatic Skin Toner lightens the pores successfully, thus making you appear younger and glowing. It is also loaded with extracts of rose, lavender, tea tree, rosemary oil and more that balances the pH level of skin without any side effect. 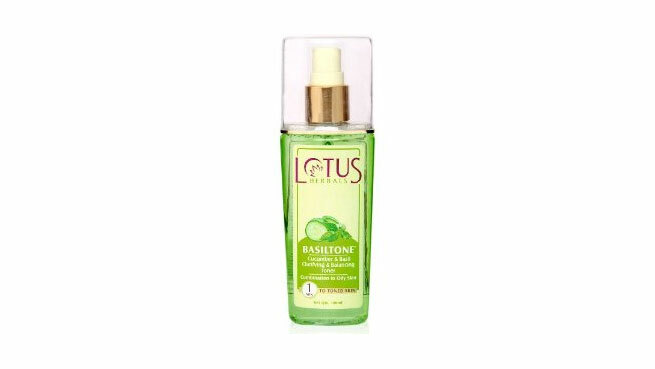 A renowned name in herbal cosmetics, Lotus Herbals Basiltone Cucumber & Basil Toner is formulated with advanced technology for all-in-one benefits. 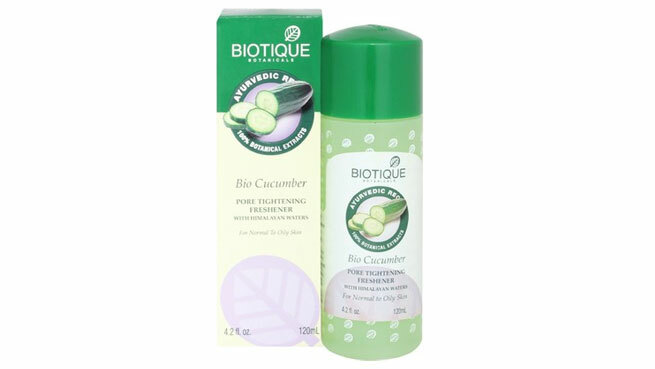 Made from basil and cucumber extracts, this toner not only cleans your face from impurities but also controls pimples and blemishes successfully. Get wrinkle free skin with refreshing feel instantly, only with Ayur Herbal Skin Toner. Combining extracts of aloe vera and rose water, this toner moisturizes and deeply cleans your skin. Moreover, it is also effective in defending your skin from harsh sun rays. For smooth and bright skin, try Kaya Skin Clinic Acne Free Purifying Toner that is enriched with herbal botanical extracts of hazel, rose and cucumber. It balances the skin serums and eliminates all impurities deeply, making your skin look happy and radiant instantly. For oily skin, Oshea Herbals Tea Tree Fresh and Neem Balancing Toner is the best choice to bank on. Its active ingredients such as tea tree, neem and chirata extract fight against bacteria, thus preventing growth of pimples and acne. It also eradicates skin impurities and make you look fairer and vibrant. For oily skin, enjoy the benefits of neem and its antibacterial properties in the most natural way with Fabindia Neem Tulsi Skin Toner. Using active ingredients such as Reetha, Aloe vera, Tulsi, Neem and more, regular usage of this toner will successfully prevent pimples and acne within few days. One of the best herbal toners for oily skin that is available in the Indian market is Shahnaz Husain Sharose Date Enriched Skin Toner. It has date, sandalwood and rose extracts that work deep in skin and removes dirt, impurities and blackheads, making you appear energized and brighter. It also has a mild fragrance that adds to the refreshment by leaps.